SMP's FiberOpticx Rack Mount Cabinets (RTC) apply integrated fiber management into a convenient rack mountable solution. Whether ordering empty or loaded for a customized application, the RTC series enclosures deliver rugged durability with the convenience of one source distribution. 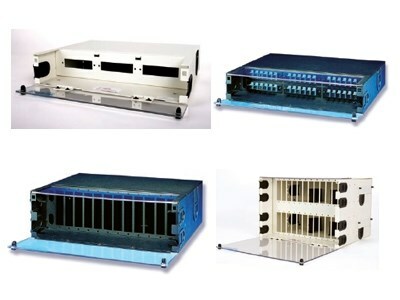 Each RTC cabinet may be mounted to either a 19 inch or 23" rack or enclosure and can easily accommodate all cross-connect functions including splicing and termination.